In 2012 Ari Lopez joined the CNDC team as an assistant trainer. She has been riding horses since she was 9 years old and has earned her USDF Bronze, Silver and Gold medals as well as the Silver and Gold Freestyle Bar. She has won many USDF and CDS championships. In addition to dressage, Ari has competed in Three Day Eventing and “A” circuit Hunters and Jumpers. 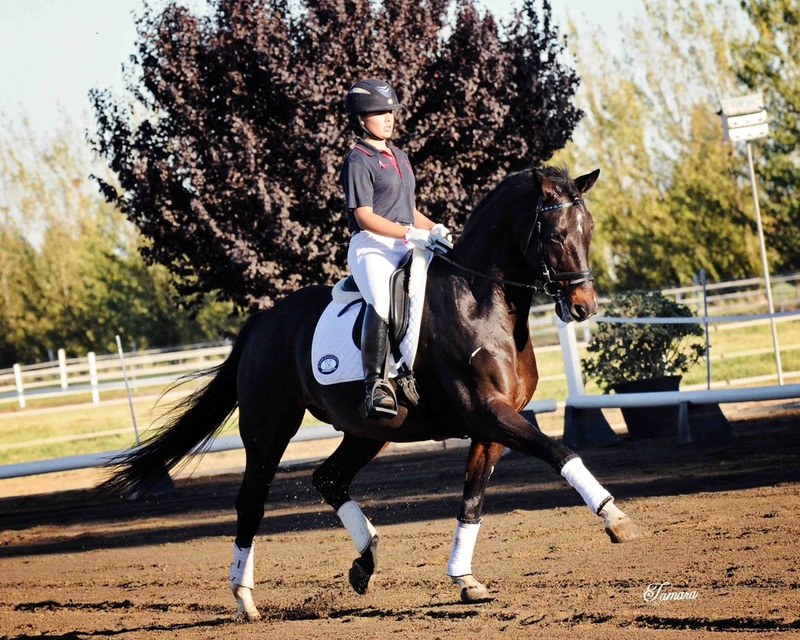 Ari has been riding horses since she was 9 years old and through those years has achieved numerous awards in Dressage and Eventing. 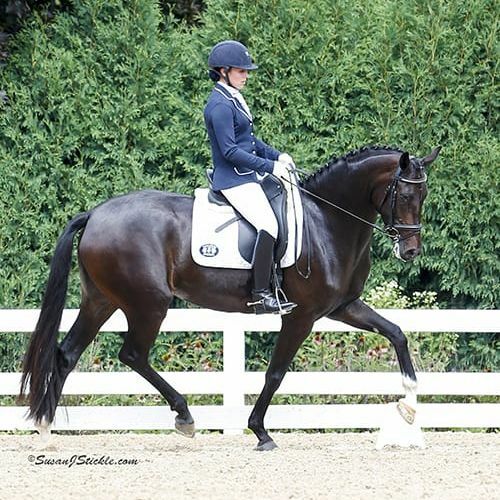 She has been United States Dressage Federation or California Dressage Society champion from Training level through Prix St George competing as a junior young rider. In 2010 she competed at the Intermediate 1 level with scores to 68%, and she has won almost every three day event that she entered at Novice and Training level. Ari is a USDF Bronze, Silver and Gold medalist. She earned all her medals on Corlander II (Armani) a horse she trained herself from a recently imported green three year old from Germany, to a grand prix horse at age 10. She was a member of the 2008 NAJC region 7 dressage team where, as the highest scoring team member, she helped her team to a Bronze medal. She also received the individual Silver medal with a score of 68.9%. She represented the region 7 team again in 2011 as a Young rider, helping them to a fourth place finish. 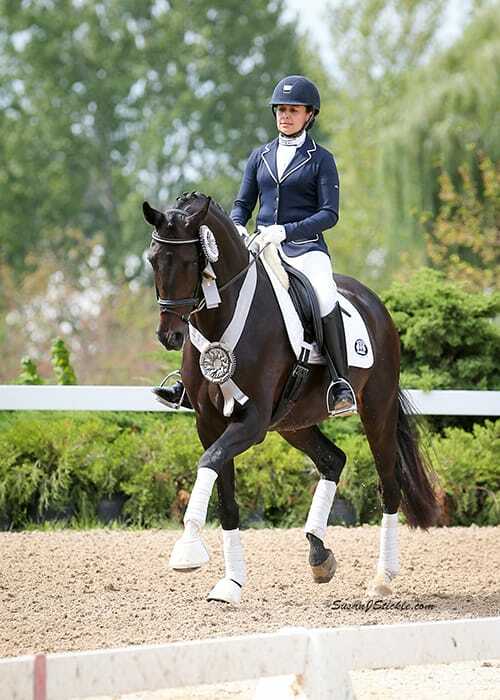 In 2011 Ari was invited to participate at the USEF Festival of Champions in Gladstone, New Jersey where she and Armani finished fifth in the nation. Ari moved Armani up to the Grand Prix level in 2012 and was ranked third in the nation for the Young Rider Grand Prix (Brentina Cup) level. Ari now rides part time at CNDC as she is attending Sacramento State to finish her Business Degree in Accounting as well as a minor in German. After winning the Under 25 Grand Prix at the Mid Winter Dressage Burbank, Ari is interviewed by former Olympic judge Axel Steiner.